The UK’s most senior female judge has backed calls for targets to increase diversity in the ranks of the senior judiciary. 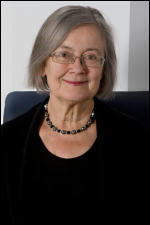 Deputy President of the Supreme Court, Lady Hale, told a gathering organized by The Times’ Student Law supplement and The Brief that the legal profession has to take active steps towards addressing unfairness. Her comments contrast with those of Lord Sumption, who said last year it would be 50 years before gender diversity was achieved at the highest levels of the judiciary. Also speaking at the debate was Charlotte Proudman, a junior barrister from London who became famous on social media after she criticised a partner at a City law firm for complimenting her appearance online. Ms Proudman called for quotas in the profession, which she described as “institutionally sexist” and as suffering from “a democracy deficit” because of the lack of ethnic, social and gender diversity. Meanwhile, Courtenay Griffiths QC, a Jamaica-born criminal law specialist, attacked law schools for “ripping off students”. Mr Griffiths pointed in particular to the rising fees for the bar course: more than £18,000 in London, which he described as “criminal”. While 1,800 students enroll in the bar professional training course every year across England and Wales there are only 400 pupillages available. The news comes amid warnings from the new chair of the Bar Council that students may have to spend as much as £127,000 to make it to the bar. Chantal-Aimée Doerries QC warned progress could be reversed as a result of the exceptionally high costs to entering the profession. She told The Guardian: “For students starting at university this year, the cost of qualifying as a barrister could approach £127,000. In SLN’s Annual Review 2016 assistant editor Kapil Summan speaks to criminal barrister Harry Potter, of 25 Bedford Row, about the issues facing the profession.